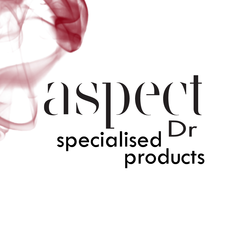 The Aspect Dr & Aspect range has been developed for men and women who want an effective skin care regime. This is a brilliantly engineered, progressive and concentrated Physicians only range which is driven by solutions and results. It is formulated with superior antioxidants and unrivalled ingredients. Aspect Dr Physician's Only range is based on independent research, incorporating ingredients with maximum percentages proven by clinical trials. Condition specific, it offers all-inclusive kits targeting a variety of skin conditions, is suitable for all skin types from oily to the most sensitive. Aspect Dr includes the most active antioxidants, retinol, skin preparations and in-clinic peels. Aspect contains chirally corrected active ingredients in the highest concentrations and is sourced from the world's most advanced pharmaceutical and bio-technology companies and uses where possible certified organic ingredients free of pesticides, parabens, perfumes and dyes. In-clinic performance evaluation of each formula has been carried out to ensure efficacy. Aspect contains a complete home care and chemical peel component. Teen Aspect is not only suitable for teen skins but also for hormonal adult skins.